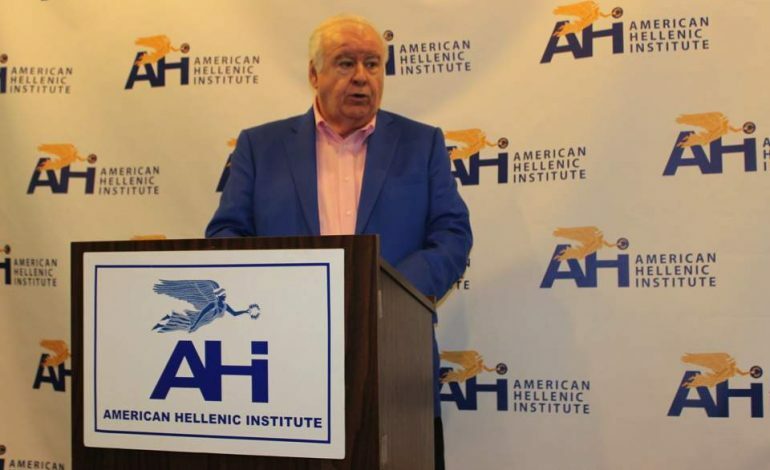 “Turkey’s Claims to the Eastern Mediterranean: Myth & Reality” was the topic of a presentation by Professor Theodore Kariotis, an expert on maritime law and issues pertaining to exclusive economic zones (EEZ), at a recent forum hosted by the American Hellenic Institute (AHI) in Washington. “[Kariotis’s] insight into Turkey’s mythical claims to Cyprus’s EEZ and Greek islands once again proves the real and substantial threat to territorial sovereignty that US allies face every day,” AHI President Nick Larigakis said. Starting with the dispute over the delimitation of the continental shelf (1973) and the crisis that followed, Turkey started to implement the policy of constantly increasing contentions and claims against Greece, including: contesting Greece’s legal right, on threat of war (casus belli), to extend its territorial sea to 12 nautical miles, as provided for by the Law of the Sea, and as has been done by virtually all coastal states in the international community, including Turkey (in the Black Sea and Eastern Mediterranean); disputing the extent of Greek national airspace, through constant violations by Turkish fighter aircraft; contesting Greek regime and sovereignty over islands and violation of that sovereignty; disputing the delimitation of territorial sea; disputing responsibilities within the Athens FIR, which were entrusted to Greece by ICAO, and constant refusal on the part of Turkey to comply with air traffic regulations; disputing Greece’s jurisdiction within the search and rescue region under Greek; and finally, demanding the demilitarization of the islands of the Eastern Aegean. But an important event took place in December 10, 1982 when the United Nations Convention of the Law of the Sea (UNCLOS) was established. Greece had voted in favor of the Convention but Turkey voted against it for two reasons: the establishment of the Exclusive Economic Zone (EEZ), and the fact that all islands are also granted an EEZ. One can easily see why the EEZ is a superior concept to that of the continental shelf in terms of international law, because it includes both hydrocarbons and fisheries. By the end of 2017, 138 countries had claimed 200-mile EEZs or had established a 200-mile Exclusive Fishing Zone (EFZ). Although Greece has a strong legal position concerning the delimitation of its continental shelf, the delimitation of its EEZ is a more viable method of resolving its dispute with Turkey in the Aegean Sea. A Greek EEZ in the Aegean Sea is justified by several points. First, with its EEZ, Greece would safeguard the economic unity of its continental and archipelagic space. Greece has a total of 3,100 islands, of which 2,463 are in the Aegean. By comparison, Turkey has only three islands in the Aegean. A reason that most coastal states have unilaterally adopted the two-hundred-mile EEZ is to counteract overexploitation of their coastal fish stocks. In addition, there are 138 nations that already possess either an EEZ or an EFZ (exclusive Fisheries Zone) of 200 nautical miles. The UNCLOS provides for an EEZ regime in which there are no restrictions prohibiting islands from having an EEZ. Finally, in March of 1983, the president of the United States signed a proclamation establishing an EEZ extending two hundred nautical miles from the US coastline and all its islands. The area of this particular EEZ encompasses 3.5 million square nautical miles of ocean, an area 1.67 times larger than the land area of the United States and it is the largest EEZ of our planet. This EEZ contains vital natural resources, both living and nonliving, in the seabed, subsoil, and overlying water. Most importantly, this US presidential proclamation gave an EEZ to all the islands of the United States, in accordance with UNCLOS. The United States, therefore, would be in a difficult position to argue against a Greek EEZ similar to the one that it has established. Greece must immediately declare its sovereign rights in an EEZ, based on the International Law of the Sea and must stand strong in asserting this EEZ against Turkish aggression. Thus, Greece will acquire an EEZ that will have an area of 47,300 sq. km, that is, an area larger than that of the mainland. 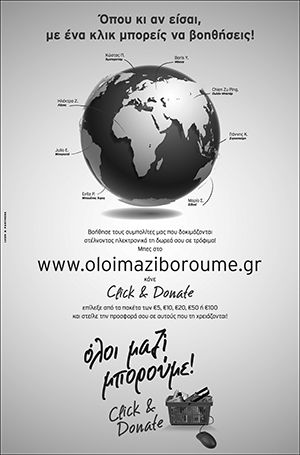 Using the principles of the EEZ, most of the Aegean Archipelagos and its natural resources will belong to Greece.